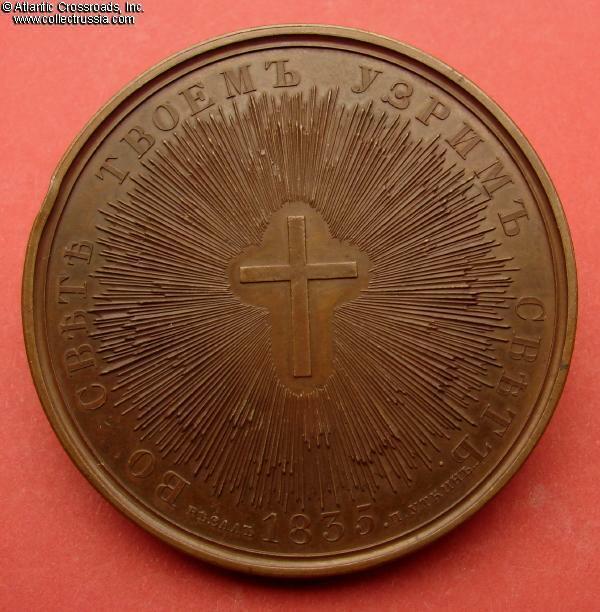 Rare Bronze Table Medal Commemorating the Foundation [or Groundbreaking] of St Vladimir University in Kiev, 1835. 65 mm wide; weighs 139.9 grams. By H.Gube and P.Utkin. Obverse shows Portrait of Nicholas I in exceptionally high relief with a legend around his profile: "By the Grace of God Nicholas I Emperor and Autocrat of All Russia"; on the reverse is a radiant cross, the legend around it reads: "In Your Holiness We See Holiness". Deep milk chocolate-brown. Excellent condition. 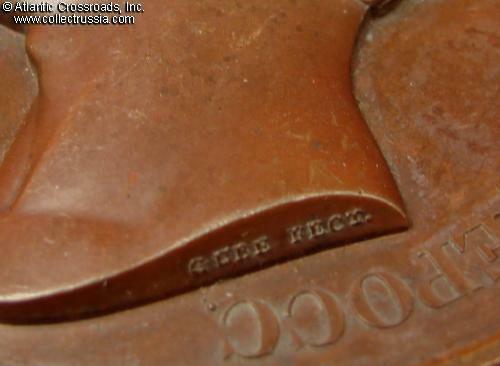 One contact mark on reverse rim at ten o'clock which does not negatively impact the image or the legend. The obverse surface around the tsar's portrait is smudged but not corroded. Tiny area of green on rim just below the portrait. 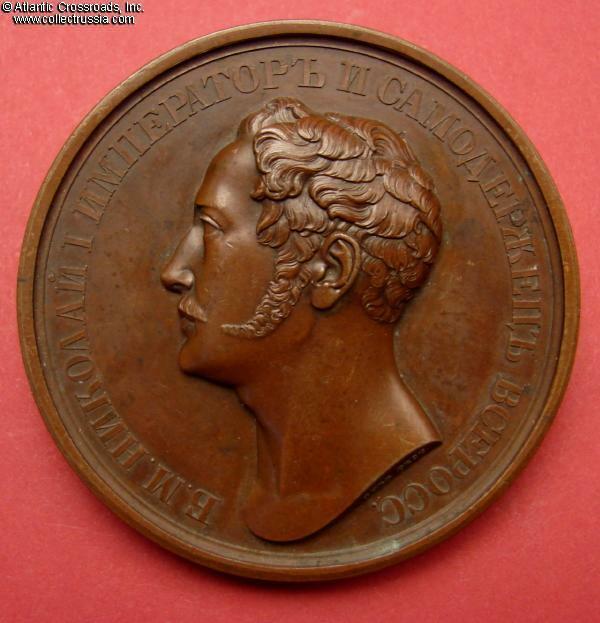 There is a cameo of Nicholas I in the Russian Museum in St. Petersburg that was carved early in his reign. 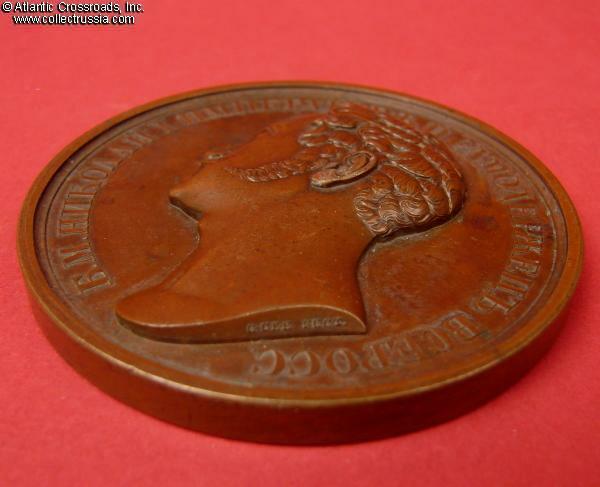 The three dimensional effect of the likeness is remarkable and it seems to have influenced Nicholas to instruct the director of the mint to see to it that the royal likeness on certain medals had to be equally impressive. 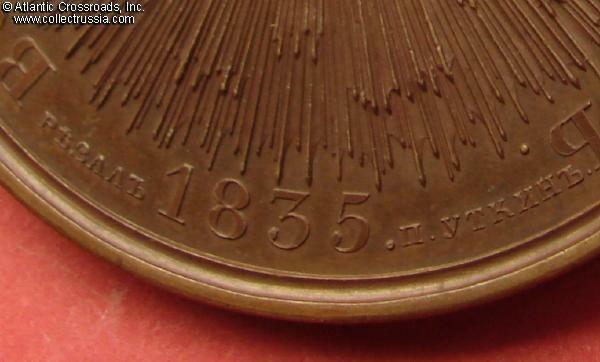 This medal is one of those that bears a truly exceptional likeness of the Tsar.